Between 1947 and 1991, U.S. immigration policy was shaped by the larger Cold War. In many case special allowances were made for migrants coming from Communist countries. In 1956, President Dwight D. Eisenhower used his so-called parole powers to admit 30,000 refugees from the failed anti-Communist Hungarian Revolution. After Fidel Castro came to power in Cuba in 1959, many Cubans came to the U.S. as political refugees. The 1966 Cuban Adjustment Act allowed permanent resident status to Cubans who arrived in the U.S. after 1959. 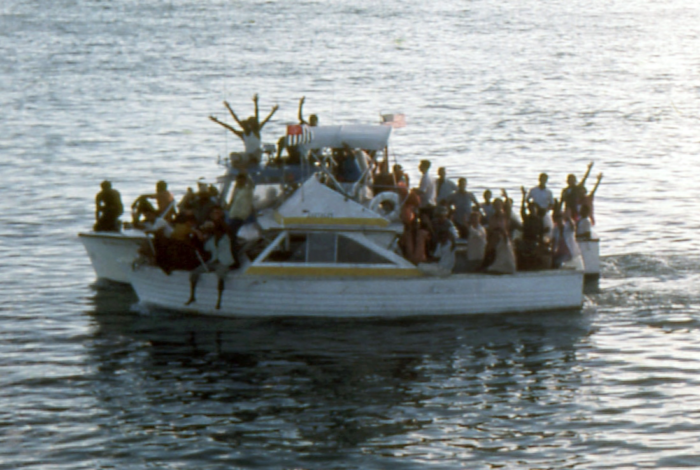 Between 1959 and 1990 around a million Cubans emigrated to the U.S. Many became U.S. citizens, eventually forming a politically powerful voting bloc in Florida. The Trade Act of 1974 included an amendment requiring non-market economies who requested “favored nation” trade status with the U.S. to allow for free emigration. The amendment was a response to calls to assist Jewish refugees from the Soviet Union. Under its provisions, more than 500,000 people, including Soviet Jews, Christians and Catholics, were able to emigrate to the U.S. In 1975 Gerald Ford enacted the Indochina Migration and Refugee Assistance Act, which provided assistance for 130,000 Southeast Asian refugees displaced in the aftermath of the Vietnam War. During the Reagan Administration, U.S. support for anti-Communist efforts in Central America included immigration policies that allowed for a flow of refugees from countries including Guatemala, El Salvador and Nicaragua. In 1990 President George H.W. Bush signed a sweeping immigration act including a provision that granted Temporary Protected Status for Salvadorans fleeing their nation’s civil war, which pitted leftist and Communist guerrillas against the country’s right-wing government. Even though the Cold War more or less ended in 1991, many U.S. immigration policies — such as those granting special provisions for Cubans — remain in effect today.